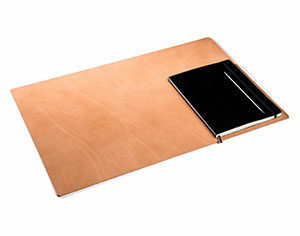 Our DESK PAD is a high-quality desk pad made of premium cowhide. 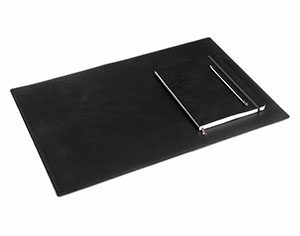 It is available in two sizes. 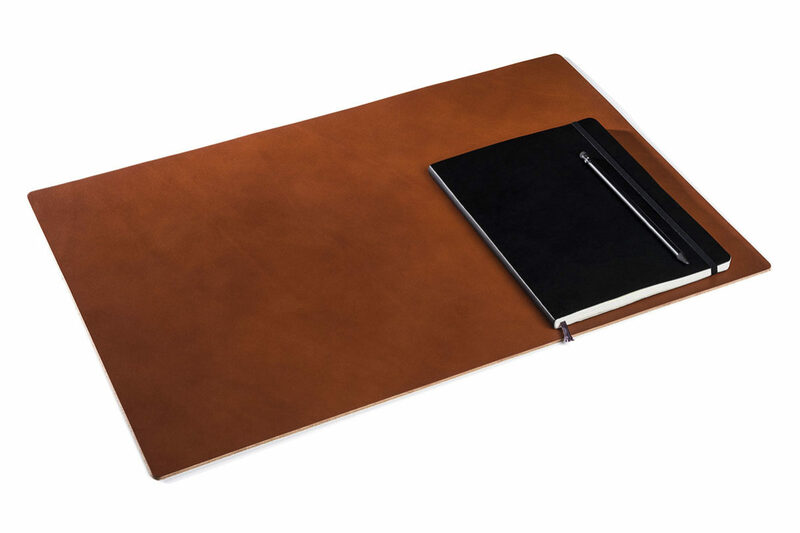 The natural material quickly absorbs the body temperature, which gives it a nice feel of the surface while working. 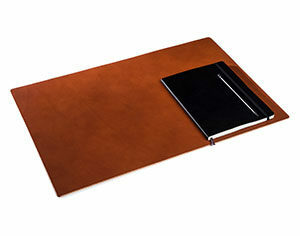 The leather has a thickness of 3 mm and we use its full substance. 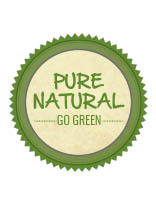 This is why the material does not need any artificial additives. 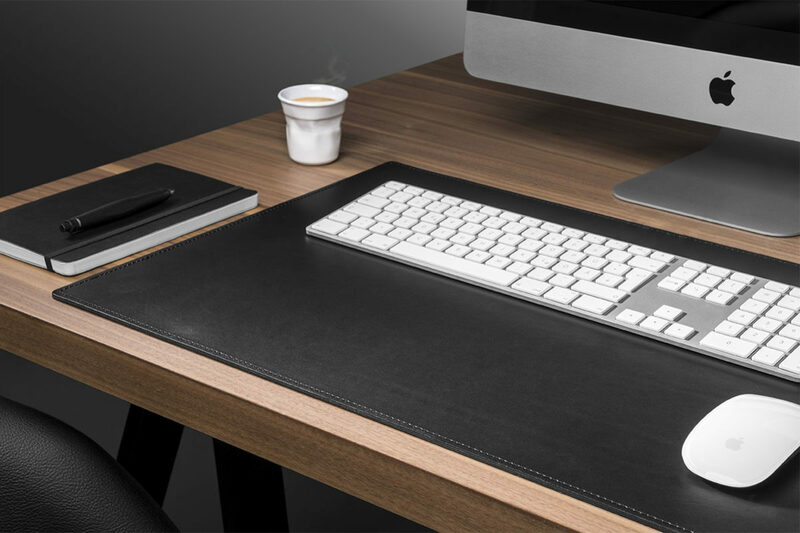 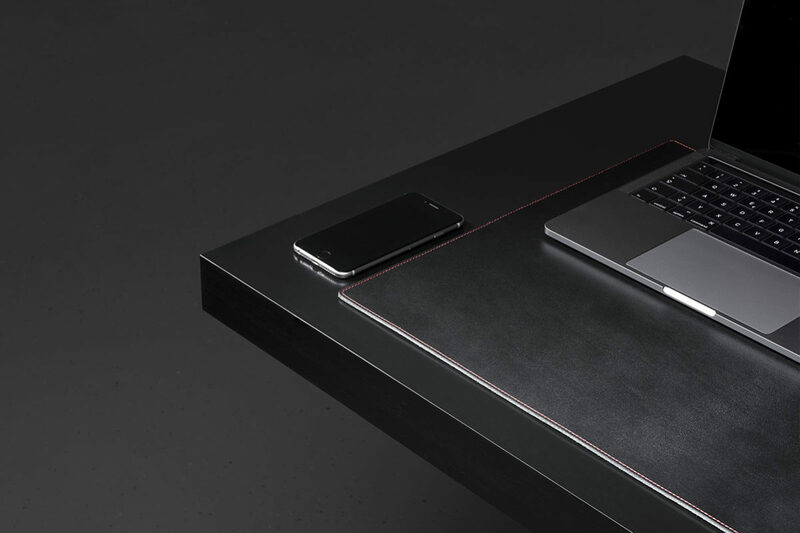 Due to its intentionally reduced design, our DESK PAD leaves room for the essential and supports you when you have to focus on work.